Best Hotels near Port Canaveral Cruise Ship Terminal in (Orlando) Florida fl. Cape Canaveral is the Space Capital of the United States, home of the NASA Kennedy Space Center. The city is located on Florida’s eastern seaboard on the Atlantic Ocean, in a region known as the “Space Coast”. Cheap deals for the best pre and post cruise hotels, motels near Port Canaveral Cruise Terminals. Stay in nearby Cape Canaveral or Cocoa Beach. Extend your vacation near Walt Disney World or Universal Studios Orlando. The port of Cape Canaveral is one of the busiest cruise ports in the world with more than 3 million multi-day cruise passengers passing through. The port is the embarkation point for several ships from Disney Cruise Line, Royal Caribbean RCL and Carnival Cruise Lines. Ships dock at either of 7 passenger terminals used for embarkation. Port Canaveral is home to the Disney Cruise Line Terminal. Currently Disney operates 4 ships ; the Disney Magic, the Disney Wonder, the Disney Dream, and the Disney Fantasy. Other major cruiselines sailing from the port include Royal Caribbean (Terminal 1), Carnival and Norwegian Cruise Line. 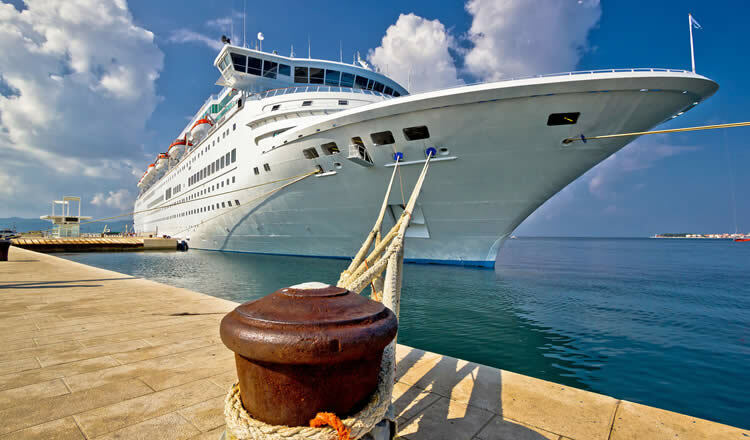 Cape Canaveral pre and post cruise hotels near the cruise passenger terminal include several great value hotels, affordable motels, and condo’s. Some are located right at the beach and offer a free shuttle service to the port. Stay close to the port in Cape Canaveral, on Cocoa Beach, in Orlando or near the airport. Many cruise passengers arrive at MCO Orlando Airport. Staying near the airport can be very convenient if you have an early or late flight. 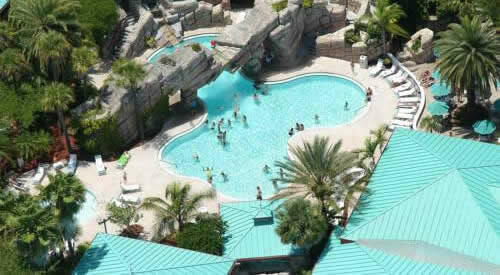 Popular is also a pre or post cruise stay near Walt Disney World or Universal Studios Florida. 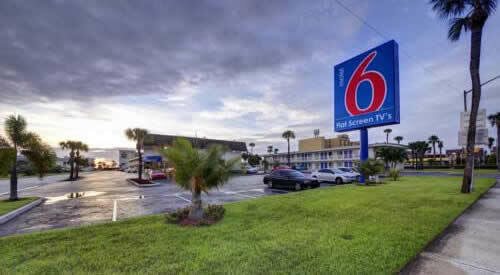 Popular hotel located only 1 mile from Port Canaveral cruise ship terminals. Top location, outdoor pool. Popular Cape Canaveral property by cruise passengers. 1 mile from terminal entrance. Cheap budget friendly motel in Cocoa Beach Florida. Just a short drive away from Port Canaveral and Kennedy Space Center. Port Canaveral is located on the State Road 528 Beachline Expressway, with quick access to Interstate 95 and an uncongested route to Orlando. 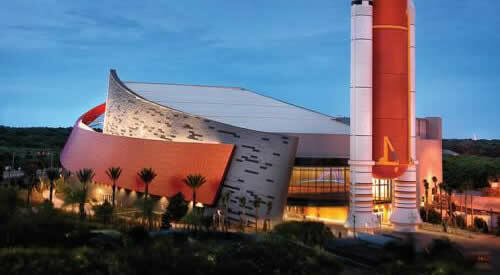 provide excellent access to and from Port Canaveral in Florida. Currently there are seven cruise passenger terminals. Disney sails from terminal 8 at the A side or north section of the port, The terminal, exclusively used by Disney Cruise Line, is connected with the parking garage and was completely renovated to welcome the newest generation of Disney ships. Other terminals used for embarkation and disembarkation are terminal 5, 6 and 10, also located on the A side of the port. Royal Caribbean’s Oasis of the Seas operates from Cruise Terminal 1. Visiting cruise ships dock at either terminal 3 or 4. Terminal 2 is reserved for the exclusive use of Victory Casino Cruises. Other Florida departure ports include the Port of Miami, world’s busiest cruiseport, Port Everglades in Fort Lauderdale, Jacksonville JAXPORT and Tampa cruise port. Here you will find plenty of hotels and motels as well. Many properties offer a free shuttle transport service to the port. Check for example hotels in Ft Lauderdale providing transport service. Safe and secure car parks are located just minutes from Port Canaveral. Many places to stay close to the port offer also free car parking. Airports — Port Canaveral is well served by air transportation. Three international airports and one regional airport are located within an hour driving distance. Nearby airports include Orlando International Airport, Melbourne International Airport, Orlando Sanford International Airport, Space Coast Regional Airport and Daytona Beach International Airport. Location — Port Canaveral is approximately 60 minutes/45 miles from Orlando International Airport, 40 minutes/39 miles from Melbourne International Airport. Orlando Sanford International Airport is 60 minutes away, Daytona Beach International Airport 65 minutes, and Space Coast Regional Airport 20 minutes. limousines and most have car rental facilities as well. Located midway between Miami and Jacksonville, within close proximity of Walt Disney World, Port Canaveral is the gateway to central Florida and a major departure point for cruises to the Bahamas and Eastern Caribbean. Just south of the port is Cocoa Beach, boasting fine white sandy beaches. Stroll along the bustling Cocoa Beach boardwalk, check out the world famous pier, grab a bite at one of the many restaurants, go deep sea fishing, build a sand castle, search for seashells or just relax on the beach. Just to the north of Cocoa Beach is Jetty Park, a popular family beach and the perfect place for swimming, picnicking, surfing, fishing and many more. Families with children will also love the nearby Brevard Zoo where you can take a kayaking safari through the wilderness. Check out also the Merritt Island National Wildlife Refuge, home of Southern bald eagles, Western Indian manatees, turtles and alligators. To the north of Port Canaveral on Merritt Island is the Kennedy Space Center, the hub of the nation’s human space program from where the first rocket have been fired in July 1950. Visit the historic 19th century lighthouse located inside the Cape Canaveral Air Force Station. Learn about the different challenges of space flights at the Air Force Space & Missile Museum, stroll through the Rocket Garden, home of Apollo and Gemini-era rockets, or even visit launch pads. From Cape Canaveral fl. you can drive inland to the west into to beautiful Floridian countryside, boasting spectacular scenery and a variety of indigenous wildlife. The world renowned destination of Orlando fl., beloved for its theme parks, is about one hour’s drive from Cape Canaveral. No trip to Orlando would be complete without a visit to Mickey and his friends in Walt Disney World. Nearby is SeaWorld Orlando, where you can meet the world famous Shamu killer whale or have close up encounters with dolphins. At Universal Studios Florida films and stars come to life. Port Canaveral is approximately 90 minutes or 65 miles away from Walt Disney World Resort, SeaWorld and Universal Studios Florida. Pre or Post cruise lodging with (free) shuttle service to the pier — some establishments offer a complimentary transport shuttle service to the cruise ship terminals. Hotels and cheaper motels are located a few blocks away from the port.